The design of your recovery emails is entirely up to you! We're happy to help you customize your recovery email templates, such as changing colors or design, so please let us know if you'd like assistance with these changes. Once your recovery email is designed and being sent automatically to customers, they'll see exactly what you see in your preview or test emails. As per spam laws, customers can also unsubscribe from recovery emails for a particular order, or all orders, so this information is included at the bottom of recovery emails. Can I test an abandoned order to see the "final product"? Manually send the first email via the Outbound Emails screen in Jilt, by clicking the email icon next to your customer info. 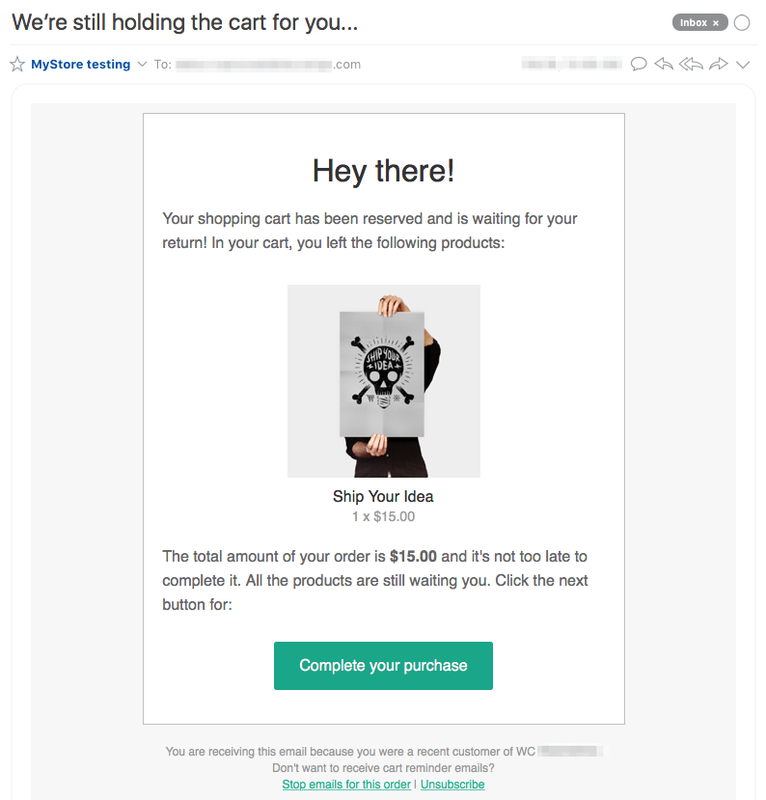 When testing multiple abandoned carts, we recommend using a unique email address and an incognito browser window (see instructions here) for each order, to prevent Jilt's default grouping behavior.